Highly concentrated - Add water to double the amount! Serious Spearfishermen will be the first to tell you that using soapy water or smelly, petroleum based hair conditioner to lube up your suit is the quickest path to an empty stringer. Don't believe me? Just try squirting some soapy water around a school of fish and see what happens. The MAKO Spearguns Suit Slide wetsuit lubricant is a scent free, non-allergenic, non-petroleum based, water soluble, high performance lube that actually nurtures the neoprene while leaving absolutely no unwanted residue. Putting on an open cell wetsuit should be done with care. Using a scent free and petroleum free lubricant will increase the life and effectiveness of your suit. Perfect for the 'pro' freediver who is in the water on a regular basis - the 22 ounce spray bottle comes with 11oz of concentrate or choose the half gallon (makes 1 gallon) or gallon (makes 2 gallons). Always dilute Suite Slide 1:1 with fresh or salt water (half water, half Suit Slide). Suit Slide...Slide into your suite with ease! Warning: Do not use soap or soapy water as lubricant for putting on your open cell wetsuit. When the soap dries, it becomes a bonding agent and will ruin the neoprene. 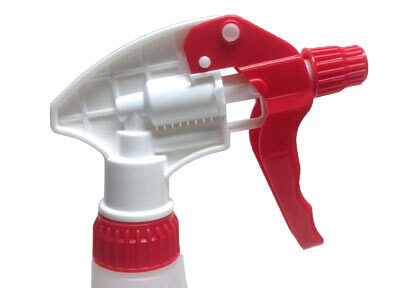 Hey guys, If you're re-ordering and already have a bottle sprayer, there's no need to buy another sprayer - just re-use the one you have and save a couple dollars! Please use the drop down at the top of the page to omit the sprayer if you don't need it. Choose 11 ounces of Suit Slide (in a 22oz refill bottle), 64 ounces (half gallon), or 128 ounces (one gallon). I always bring a supply when I travel to dive. The price beats other suit lubes, the concentrate makes it a bit easier to pack, and it leaves my suit and my skin in find condition. Everything went as expected. I was informed when my product shipped out, got a tracking number and product showed up on time. Used the suit slide spearing in the Bahamas last week and worked great. Overall very satisfied! Great product slicker than a used car salesman on roller skates.